Is LeeAnna Vamp Lesbian ? The California-born cosplay model and actress LeeAnna Vamp is best known for portraying the role of Lady Fett in Con Man and for her involvement in other movie projects like "Pool Party Massacre", "Ghosted", "SyFy's Cosplay Melee" and more. She has a YouTube channel under the name "Vamp" and in her channel, she posts cosplay and fitness videos. Vamp has produced and created web series like "Star Wars Girls" and "The Fiends - Best Fiends Forever" which is featured in her YouTube channel. LeeAnna Vamp was born on January 26, 1981, under the birth sign Aquarius in California, United States. She was raised in Pasadena and attended Cal State University from where she earned a Bachelor degree in Communication in 2010. 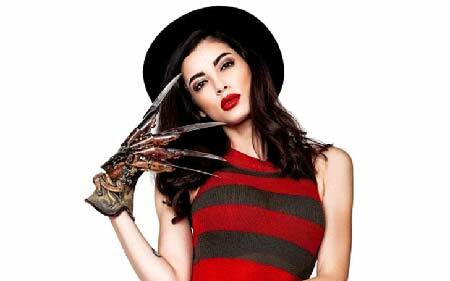 LeeAnna Vamp is professionally an actress who has been cast in movies like Pool Party Massacre, Ghosted, SyFy's Cosplay Melee, Con Man and so on. Besides acting in movies she is also involved in filmmaking and makes podcasts. She produced and created web series like Star Wars Girls and The Fiends - Best Fiends Forever. Since she likes movies and things related to Sci-fi, Horror and Fantasy genre, most of her projects are related to it. Vamp has been featured in the movie named Resident Evil: Down with the sickness alongside actor Freddie Wong, Benji Dolly, Clinton Jones, Ethan Newberry and more. Besides she has a YouTube channel under the name Vamp which has around 25.9k followers. On her YouTube channel, she posts cosplay videos and some exercise videos. LeeAnna Vamp's net worth is not estimated and is still under review. However several sources claim her net worth to be $200 thousand. Her main source of living is from her career as an actor and filmmaker. She has been able to make a decent living out of her career and is a well known social media personality as well. LeeAnna Vamp is a married woman who exchanged vows with a man named Cameron Lee Vamp in 2015. The couple has been married for more than two years and is living prosperous married life together in Temecula. Their marriage ceremony happened at an amusement park in Buena Park, California called Knott's Berry Farm. The couple doesn't share any children as of yet. Besides her husband, she hasn't been linked to anyone and her past dating rumors are also not mentioned. As for her choices and preferences, she likes to dress up in dark colors and often wears dark makeups. Vamp considers herself as Halloween Goddess and loves to dress up in vamp costumes. She has given herself the nickname " Ghoul of Your Dreams' and Halloween Goddess" and her fans totally buy her name. 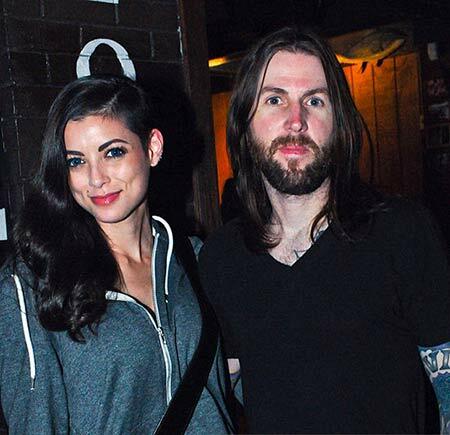 LeeAnna Vamp with her husband Cameron Lee Vamp. Her favorite thing to watch is The Walking Dead series and her favorite character is Negan. For her love for the show, she was a host of The Walking Dead Premiere in 2017. She rocks long black hair and has striking dark eyes which grabs everyone's attention. Vamp is pretty active in her social media handles like Instagram, Facebook, and Twitter. On her Instagram account, she has around 388k followers and on Twitter has 80.2k followers. Here is a video of LeeAnna Vamp giving an interview at the Anime Expo 2016. LeeAnna Vamp is a married woman who exchanged vows with Camron Vamp in 2015. The couple don't have any children together.